After graduating from high school Jasper came to the source of Techno music in the Netherlands, which is Rotterdam, and Jasper discovered his talent as a DJ in a student discotheque called Bikini. 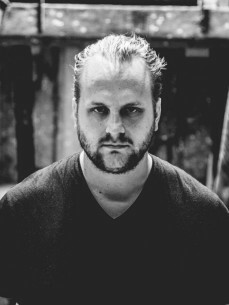 After several years of intense DJ'ing throughout the Netherlands, he decided to take a step back and began focusing on producing techno music. His debut solo record called '' A Duck, Boys And Girls '' was released on Traum Schallplatten and after this JSPR released music on labels such as Manual/MNL and CInematique. His track ‘’Hold Back’’ was picked up by none other then the legendary Richie Hawtin during the summer of 2014. Due to this track JSPR got the chance to release at the legendary M_nus label and in September 2015 his MonoCulture EP was released. The tracks were picked up by the most legendary DJ’s like: Josh Wink, Joris Voorn, DJ Hell, Pig and Dan and many others.